Leaps to “what’s next” are not always high-tech. Con­sid­er the PICS bag. “PICS” stands for the Pur­due Improved Crop Stor­age bag, a two-dol­lar item, which is mak­ing a huge dif­fer­ence to peo­ple in Africa. Bet­sy Teutsch (@BetsyTeutsch) tells the sto­ry in short strokes in The Atlantic [link]. And it’s a great sto­ry! Seems that West and Cen­tral African farm­ing fam­i­lies grow­ing African cow­peas (black-eyed peas) were hav­ing trou­ble stor­ing and sell­ing their har­vest, which, as Teutsch explains, “are a won­der crop, loaded with agri­cul­tur­al, eco­log­i­cal, and nutri­tion­al ben­e­fit.” The prob­lem was that bruchids (cow­pea wee­vils) were destroy­ing the crop before farm­ers could bring them to mar­ket at a good price. The lack of abil­i­ty to store their har­vests forced farm­ers to sell rapid­ly and at the same time. As with most mar­kets, an over­abun­dance of sup­ply usu­al­ly means a drop in the price of the prod­uct being sold. In a sec­ond phase, the Pur­due Improved Crop Stor­age (PICS2) project, researchers are inves­ti­gat­ing if PICS bags can con­trol insect pests in stored maize (corn), sorghum, wheat, rice, peanut, com­mon bean, hibis­cus seed, mung bean, pigeon pea, and bam­bara ground­nut. Researchers are also check­ing to see if seeds stored in PICS bags stay viable for plant­i­ng, are less like­ly to mold, or less often con­tain fun­gal-pro­duced tox­ins. An addi­tion­al focus of the PICS project has been to cre­ate new eco­nom­ic oppor­tu­ni­ties asso­ci­at­ed with PICS bag pro­duc­tion and dis­tri­b­u­tion. PICS project staff mem­bers are work­ing with local man­u­fac­tur­ers to pro­duce PICS bags and with entre­pre­neurs to dis­trib­ute them. There are also videos on the Pur­due PICS page. First, per­sis­tent prob­lems — espe­cial­ly those that strike at the heart of val­ue cre­ation — make great oppor­tu­ni­ties for inno­va­tion. Oppor­tu­ni­ties do not always come in fan­cy, glam­orous wrap­pers; yet, the chance to make a real dif­fer­ence in the val­ue-cre­ation cycle is abun­dant, par­tic­u­lar­ly if you are pay­ing atten­tion. Sec­ond, some­times solv­ing small prob­lems have big (and impor­tant) con­se­quences. The low-cost PICS bag affects, first and fore­most, people’s lives and liveli­hoods. Max­i­mum util­i­sa­tion of crops that pro­vide food and nutri­tion is no small goal, espe­cial­ly on a con­ti­nent with wide­spread star­va­tion. Then, too, the eco­nom­ic boost to the region has proven to be enor­mous. Third, high-tech is undoubt­ed­ly dri­ving the world into the future, and I cer­tain­ly am not dis­count­ing the impor­tant efforts of the many who are work­ing on ultra-com­pli­cat­ed prob­lems. Nonethe­less, some­times “a bet­ter mouse­trap” is all that is need­ed to solve the prob­lems that are hold­ing back you, your neigh­bor­hood, or your com­pa­ny. 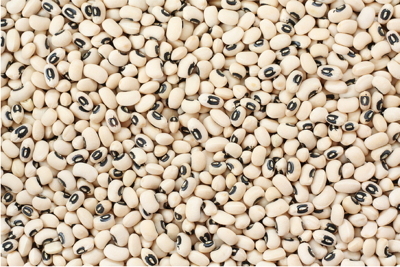 I love black-eyed peas, and this sto­ry real­ly grabbed me. A sim­ple ques­tion with a sim­ple answer can some­times lead to pro­found changes.